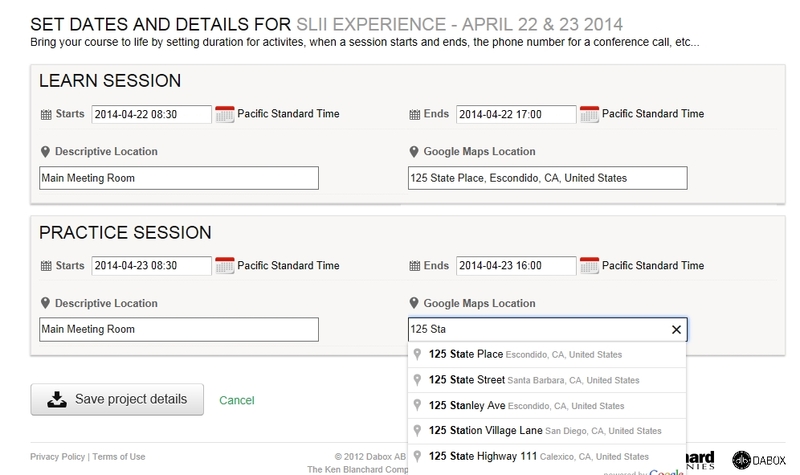 We have enhanced the mapping capabilities for face-to-face events in Blanchard Exchange! You no longer have to go to a separate mapping service, enter an address, copy the link, and paste it into your face-to-face event details when setting up projects. Instead, you can now start typing the address directly into the "Google Maps Location" field associated with face-to-face events. Once you see your address come up on the list, you simply click on it and you're done! Participants will be able to map the address directly from their Participant Portal and/or from the calendar invitations distributed directly from Blanchard Exchange if those are enabled within your project. If you have any questions regarding this new feature, please contact your Blanchard Exchange Support Contact (listed on the home page of your administrative portal).